Hilma af Klint (1862-1944) was a Swedish painter and is now understood to be a pioneer of abstraction. Her paintings record communications she received from the spiritual realm. Via regular séances conducted with four other women, a group called ‘The Five’, Hilma received commissions from the Divine and created over one thousand works. Ana tried contacting Hilma to ask questions, and when they finally connected, Hilma told her to sense her own way with the Divine. So I did, and I’m still learning to, and some of the results are this body of work. Some elements have been channelled and others are reflections of what I’ve been learning. Ana Petidis is an emerging Melbourne based weaver. 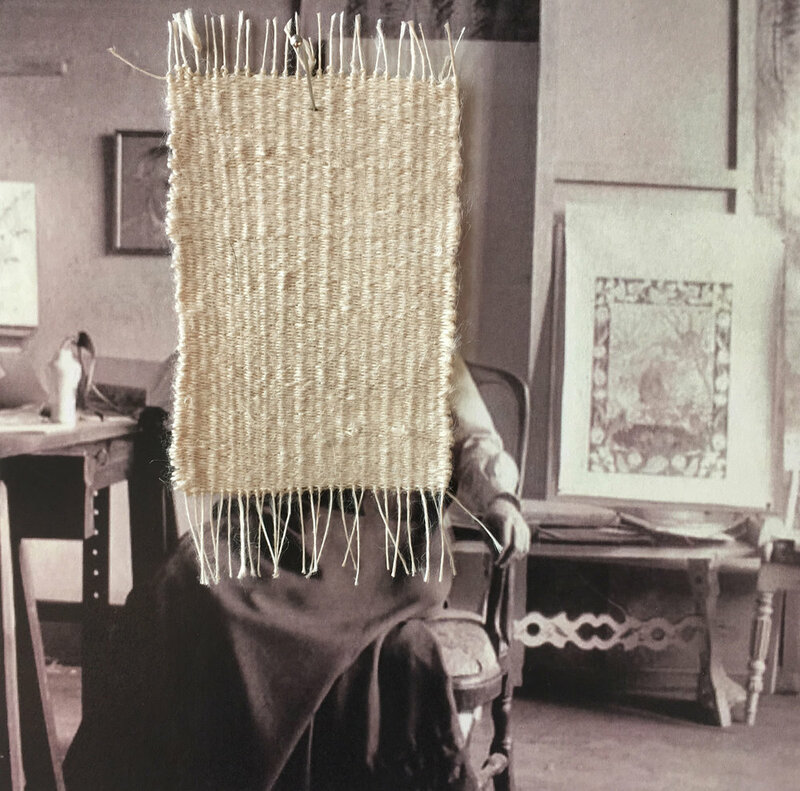 The technical process of hand weaving enables a textural response for her interaction between personal stories and critical reflection. Her tactile works reflect on human relationships in contemporary life.